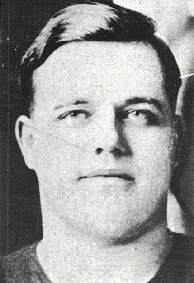 Homer N. Tanner, Frank’s twin brother, was a four-year football performer who also played two years each of basketball, baseball and track at Alliance High School. 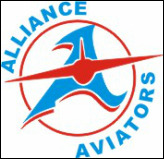 Associated with the Alliance Machine Company from 1912 through 1915, as an engineering apprentice and layout draftsman, he played and coached in the shop semi-pro leagues. He was with a pair of title teams in both baseball and basketball. Tanner worked in the valuation department, most of the time as a senior appraiser, for the New York Central Railroad Company from 1915 to 1928, interrupted by 1917-1918 service in the US Army. He had just completed Officers Training School when the war ended. He spent two years as a real estate and improvement appraiser with the Shell Oil Company before joining the real estate department of the Continental Oil Company, Ponca City, Oklahoma. After three years as a real estate appraiser and tax adjuster, Tanner was transferred to Continental’s division order department in 1933. For 18 years prior to his November 1958 retirement, he was a supervisor in the division order department. He continues to reside in Ponca City.